A couple of weeks ago I finally replaced my trusty but dated HTC Desire Android phone with a shiny new LG Google Nexus 4 running the latest version of Android Jelly Bean. 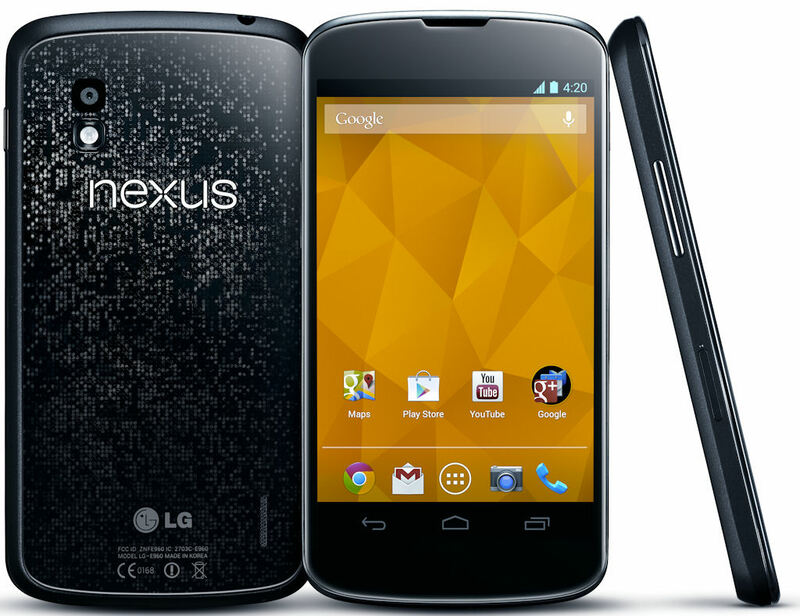 The Desire has served me well but it’s crippled by an appalling lack of built-in storage so I’d been waiting for the ideal replacement handset to arrive and after reading lots of reviews the Nexus 4 seemed like the one to go for, both in terms of specification and value for money. I bought it directly from the Google Play store for £280 as soon as they came back into stock in the UK, and it arrived within a week even though the stated delivery time was 1-2 weeks. After paying £31 a month on a Vodafone pay monthly contract for the last couple of years I also switched to a 12 month SIM-only contract with Orange after getting fed up of having declining network coverage at home with Vodafone, reducing my monthly bill to £10.50 at the same time – bargain! …But I left it too late, and after only 2 weeks of owning it, it slipped out of my hand when getting it out of my jacket pocket and fell onto a concrete floor smashing the bottom left corner of the screen and damaging the digitizer such that the bottom row of controls (yes the main Navigation Bar!) didn’t work any more when in portrait orientation. I was gutted. After looking into what insurance cover I had for the phone, including any excesses and knock-on premium hikes I would incur if I claimed, I decided to get a quote for repair from Carphone Warehouse. To my surprise they quoted only £79 to replace the screen, digitizer and bezel which sounded like a good deal to me (I’d seen prices online for just the parts alone of around £85!) so I had no hesitation in leaving it with them to repair for me. I’m not sure whether this price was an error on their system but they agreed to honour it as it had been quoted to me. Just under a week later I got a call to say that it was back at my local Carphone Warehouse store ready for collection. The repair appears to be a top quality job and the phone looks and feels as good as new, so top marks to Carphone Warehouse Geek Squad repairs! So my next task is to hunt down a good quality but unobtrusive case. I’ve read favourable reviews of the FlexShield Skin case but I can’t find them in stock anywhere. I’ll keep looking, but in the meantime I’m going to treat my Nexus 4 with kid gloves to make sure it doesn’t come a cropper again!